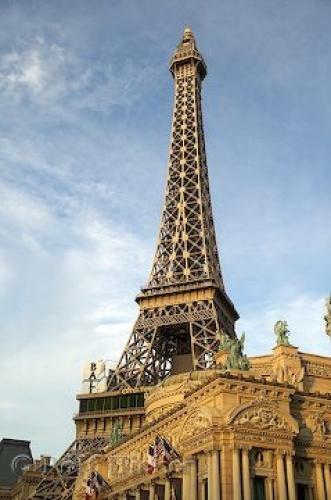 A replica of the Eiffel Tower at the Paris Las Vegas Hotel in Nevada, USA. Paris Las Vegas, Eiffel Tower, Vegas Strip, Las Vegas, Nevada, USA, North America. Las Vegas Hotel in Nevada, USA.